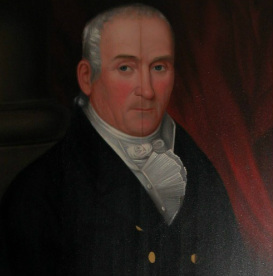 Martin J. Ryerson was born in 1751, the son of Johannis Ryerson. The Ryersons were a Dutch family that had immigrated to Long Island from Amsterdam in 1646. Ryerson's grandfather later relocated, first to Hackensack and then to a farmstead in present-day Oakland around 1715. It was on this farmstead that Martin was born and raised. He lived there until his marriage in 1778 to Frouche Van Winkle. The newly-married couple then moved to the Pompton area, where he resided for the remainder of his life. 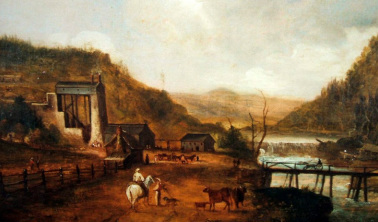 Martin J. Ryerson first entered the ironworks business when he purchased the Pompton Ironworks on the Ramapo River in 1797. He sought to expand his iron holdings and within a few years was running forges at Bloomingdale and Wanaque to supplement the Pompton complex. On April 4, 1804, an advertisement in the New York Herald listed the Ringwood property for sale. The manor that Erskine had previously built had undergone extensive renovations and was now described as "an elegant Mansion House....on which there has lately been expended a large sum of money and is now in perfect repair." The ironworks and related structures were also listed and described. In 1807, Ryerson purchased the site for a sum of $27,500. The Ringwood property was mostly used during this time to supply iron ore and timber to other locations. 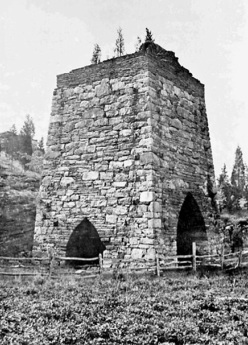 With the outbreak of the War of 1812, Ryersons's furnaces manufactured shot for the war effort. Martin and his wife had three sons who lived to adulthood: John M. (1782-1820), Jacob M. (1786-1869), and Peter M (1798-1862). All three were active managers in the ironworks business. The Ringwood and Long Pond properties were handled by his sons John and Jacob, who set about revitalizing the blast furnace, forge, store, and dwellings there. Even though the house on the Ringwood property was advertised as having been renovated in 1804, the building was either taken down by the Ryersons or burnt in a fire. The Ryersons replaced this building with the first portion of Ringwood Manor around 1810. Based on architectural evidence, the structure was a mix of Dutch Colonial and Federal styles. The residence was two-and-a-half stories tall and had three bays, with a side hall and entrance typical of a Federal home. However, it also had a gambrel roof, a common feature of Dutch colonial homes in northern New Jersey and lower New York state. There is also an indication that the structure had two small, one-story side wings. 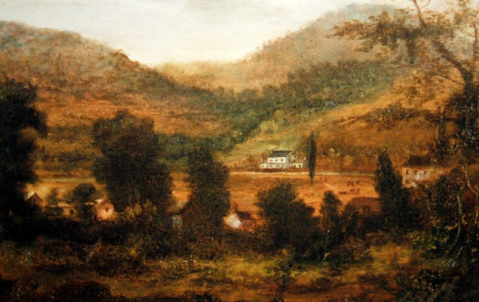 An early landscape oil painting seems to show the structure in the background, very much matching the descriptions of the early Ryerson home. John Ryerson and his family lived at Ringwood Manor until his death in 1820. After his brother's passing, Jacob took over as manager of the Ringwood/Long Pond complex and headed the household at Ringwood with his wife, Harriet, for almost three decades. After Martin J. Ryerson's death in 1839, the family's iron business did not fare well. The brothers' financial problems may have been the results of the economic depression of 1837 and a change in tax laws reducing the tariff on imported iron. Unfortunately, their attempts to pull the business out of debt were unsuccessful, eventually forcing them to sell. In August of 1853, the Ringwood and Long Pond properties were purchased by Peter Cooper for $100,000.